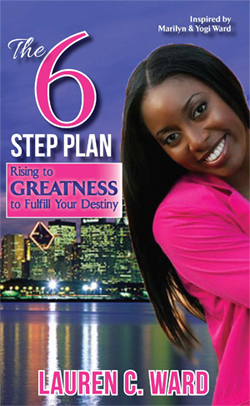 Lauren Ward’s The 6-Step Plan is a must read motivational book written for teenagers, young adults, and adults who desire to be successful in life. The fact is many people do not know which direction they should go after high school, college or which career path they should take. In her inspiring debut book, Lauren shares six decisive steps that will help you answer these critical questions and show you how to access your untapped potential. You don’t have to settle for less because God has a bright future in store for you!